If you want to sell your old mobile phone, Cashify is the right place for you. Cashify’s mission is to simplify the way people sell their old gadgets and phones. Cashify helps you unlock the latest market price of your old phone with the least amount of effort. Just select the phone you want to sell and Cashify will help you unlock the best selling price of the phone based on the condition and the current market price. Go on to Cashify, Get an instant quote, sell in 60 seconds, schedule free pickup, and get cash at your doorstep. As long as you enter the correct details of the phone on Cashify, the price you see on Cashify is what you will get paid. Cashify has simplified the way you sell your old phones. Talking of selling old phones, Samsung Z4 is a very old but durable phone. This is one of the first phones to introduce a front flash. 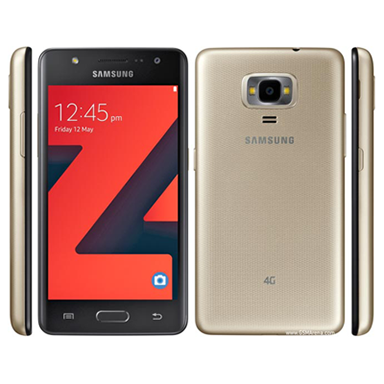 Samsung Z4 runs on Samsung’s new operating system; Tizen 3.0. This phone has 1GB RAM and a quad-core 1.5 GHz processor. As this phone was announced in 2017 as an entry-level phone, the price of this device was in the region of Rs 5000 – Rs 6000. Samsung Z4 is not at all relevant in 2019. If you are using this phone, then log on to Cashify and sell your old Samsung Z4 for the best price in less than 1 minute.